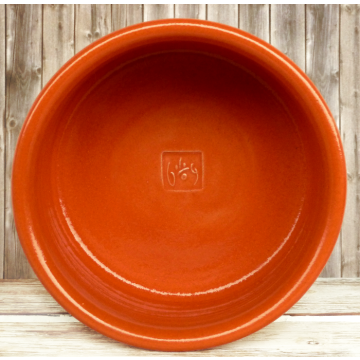 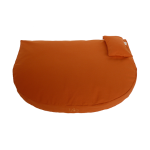 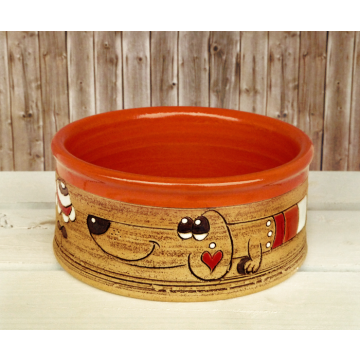 Wouldn't this Dog Bowl Puppies orange be a sweet welcome present for your little, furry addition to the family? 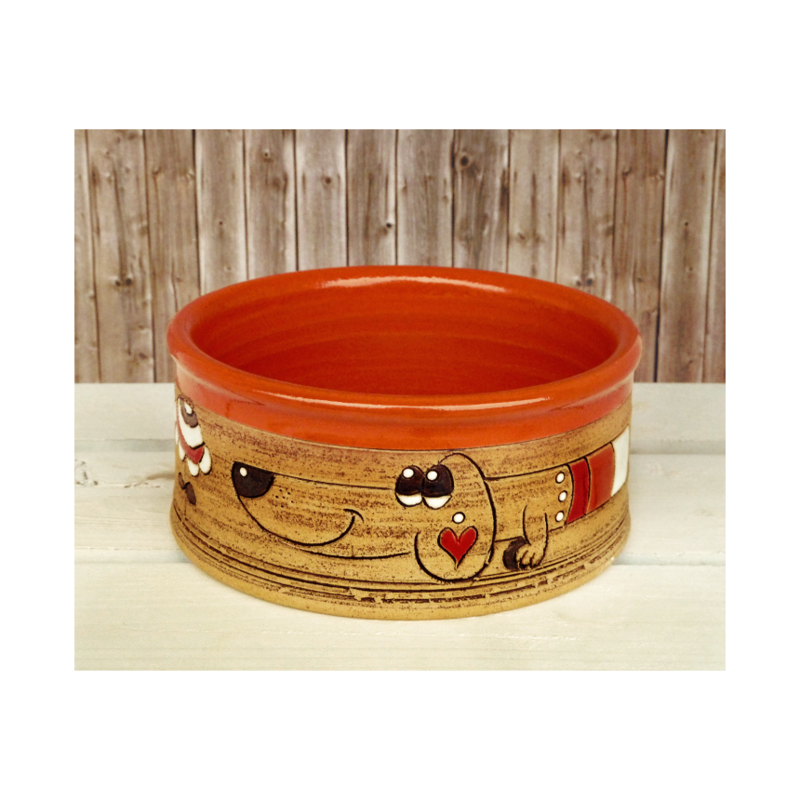 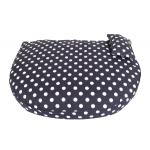 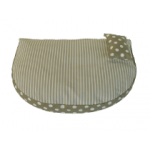 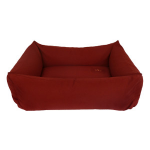 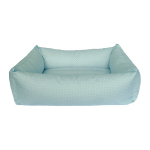 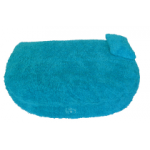 Our are you already parent to a dog and love playful and colourful design? 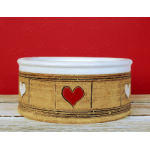 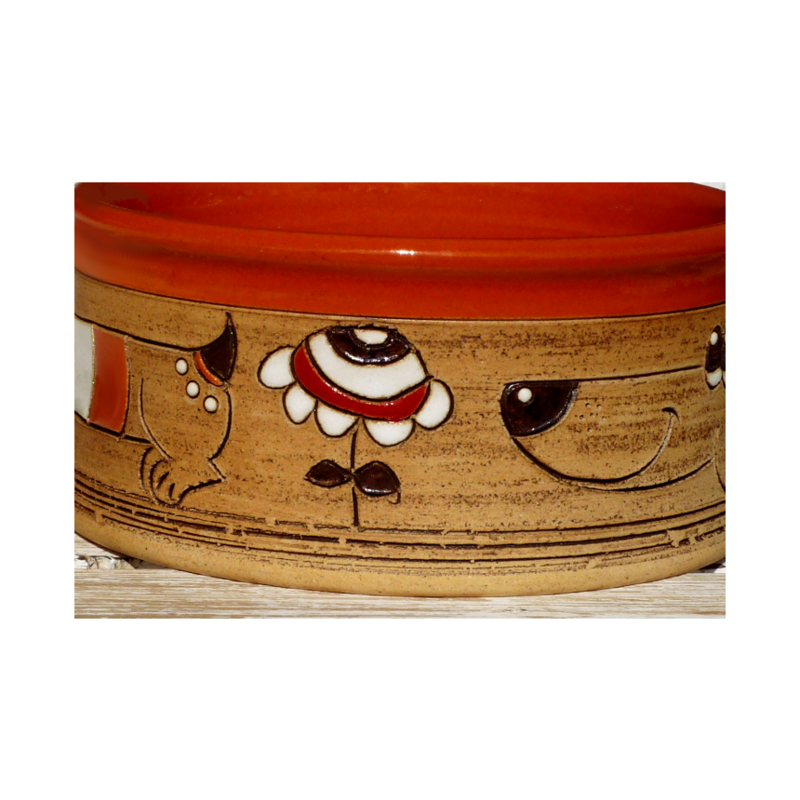 Fall in love with our cute feeding- or water dish! 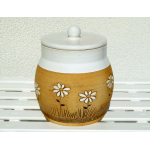 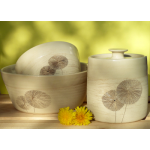 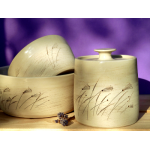 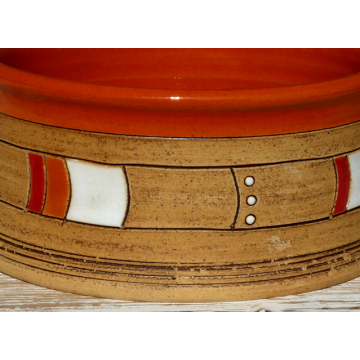 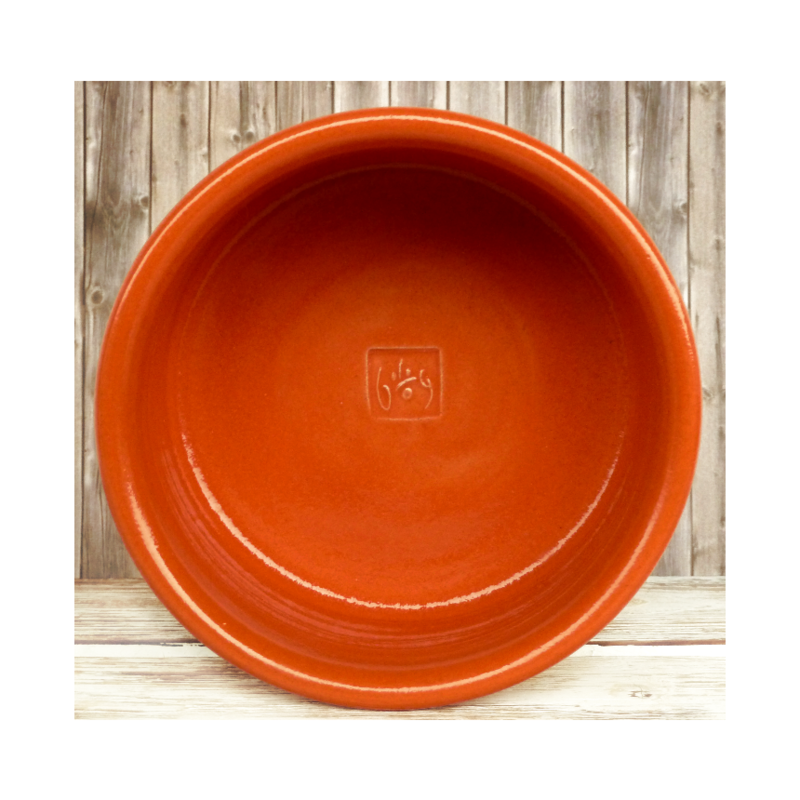 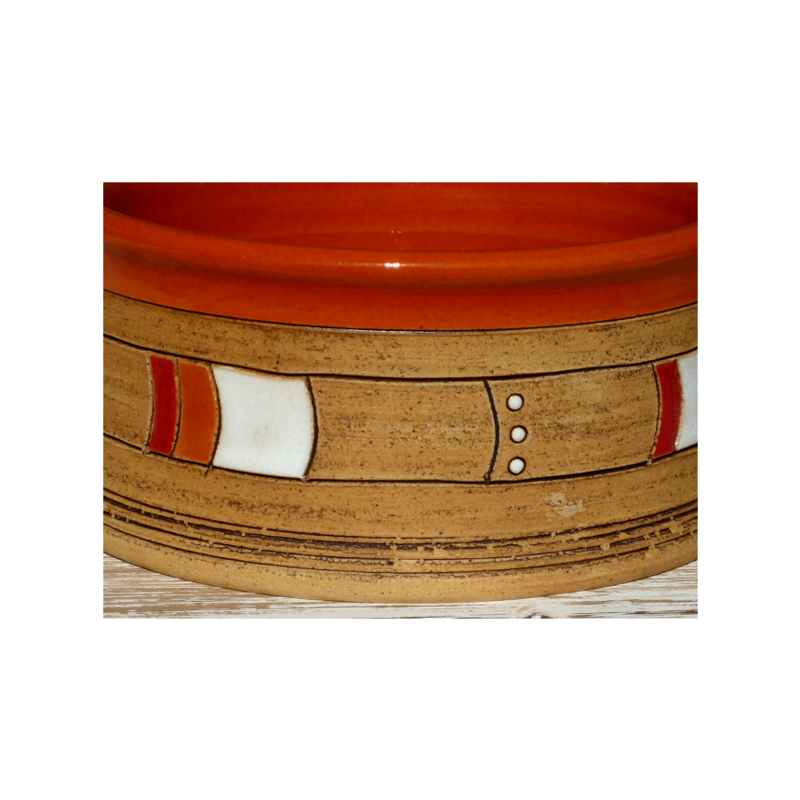 Every bowl is traditionally hand-molded and a small brim on the bowl and the inside are glazed in orange. 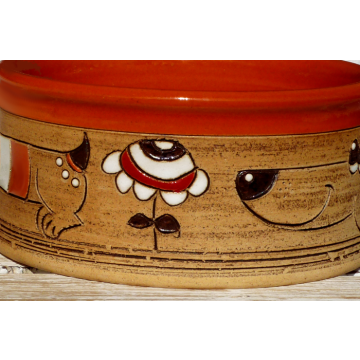 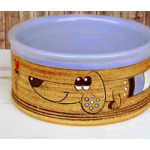 The hand-painted vintage decoration with a charming dachshund and lovely details gives every dog bowl a unique look.